You can see list of our Luminous Zelio VS Exide EX1450 VA below, perform Side-by-Side comparison. If you need further help, do have a look at Conzumr Guides and Tips. Alternatively you can view all UPS & Inverter to choose your own favourites. 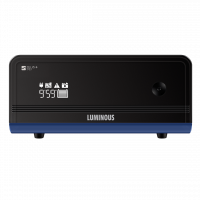 Luminous Zelio Home UPS is India's most intelligent Home UPS with features such as Power back up time display in Hours & Minutes, Hassle Free battery water level maintenance, MCB protection and is equipped with Bypass Switch which keeps Supplying output from Grid even in case of Inverter faults. 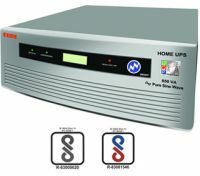 Pure Sine Wave is the purest and is 100% clean, regulated, and completely stable and distortion free power output, which is absolutely safe for running complex appliances without humming & irritating sound. A feature, which will automatically switch on to the Battery mode in case there is extreme high or low voltage supplied from the mains, which protects your valuable equipment. Summer or winter, power outages can hit you anytime. Don’t find yourself in the dark; instead pick up a handy inverter for your home. In this guide, Conzumr has assembled all the basic information that will help you understand inverter-jargon and ensure that you make an informed choice about which inverter will serve your needs best. To Recieve updates and possible rewards for Exide Exide EX1450 VA Home UPS Inverters please sign in. To Recieve updates and possible rewards for UPS & Inverter please sign in.